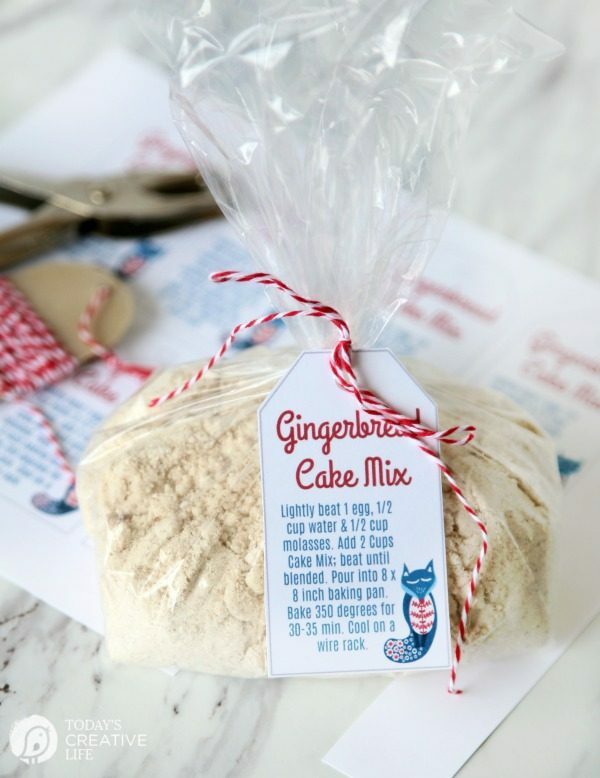 I am on a mission to share as many simple homemade gift ideas for easy holiday giving! 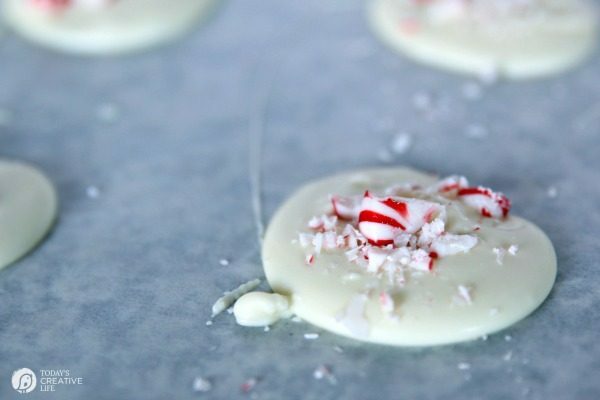 These White Chocolate Peppermint Bites are another SUPER easy treat for gifts from the kitchen. 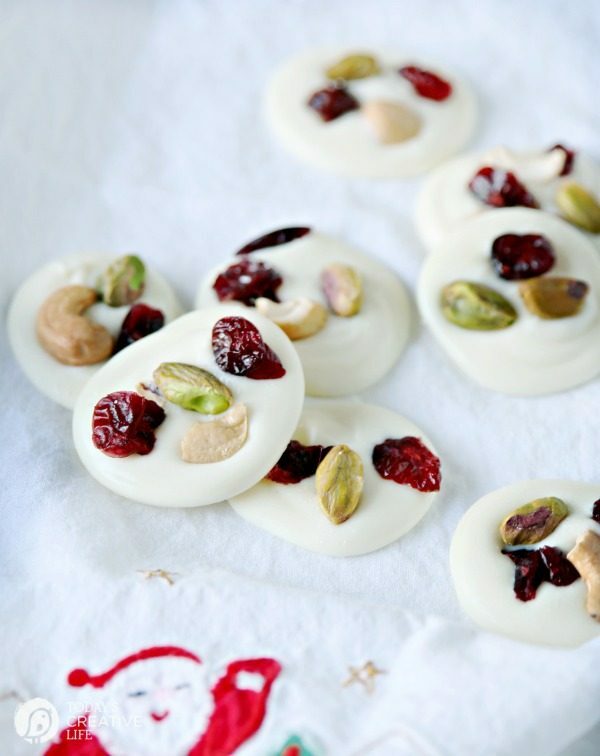 Just like my White Chocolate Nutty Fruit Bites and my Dark Chocolate Fruit & Nut Bites, you can whip up a batch of these in no time! 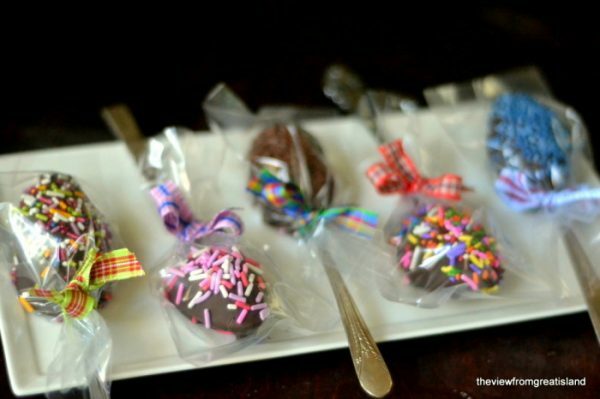 They are seriously the easiest homemade gift idea. 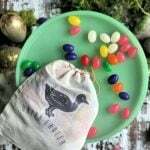 Package them up in simple candy boxes from your local craft store, add some cute ribbon and one of my free printable gift tags and you are good to go! 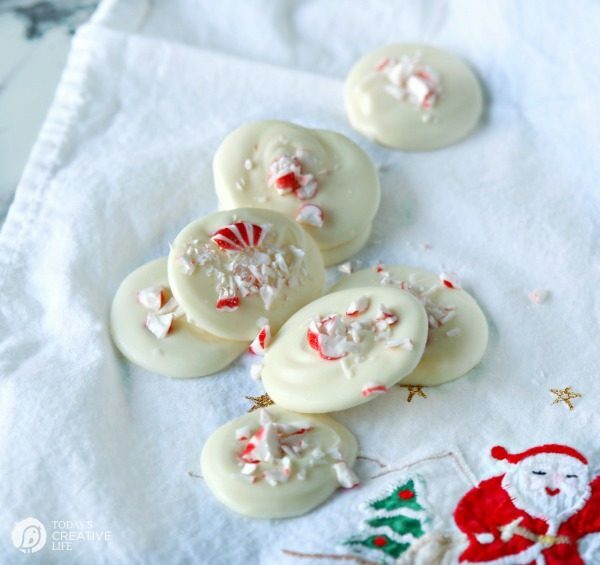 Ghirardelli White Chocolate Wafers – or you can use white chocolate bars. 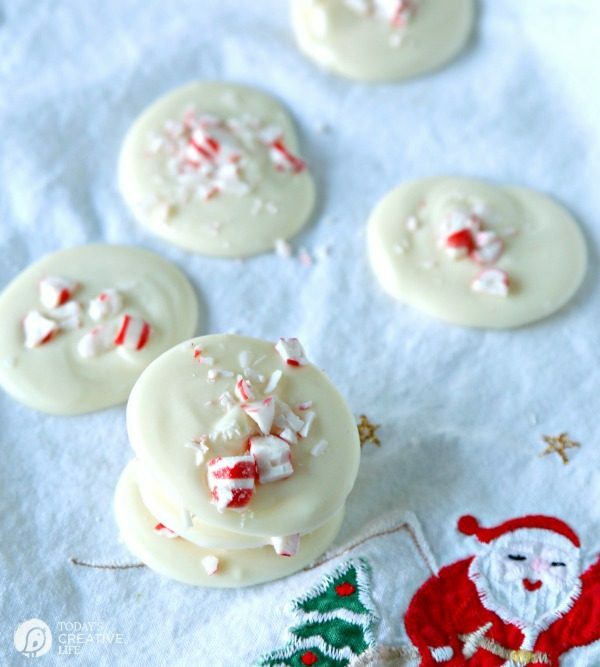 Candy Canes or round Peppermint Candies, or even peppermint crunch sprinkles. 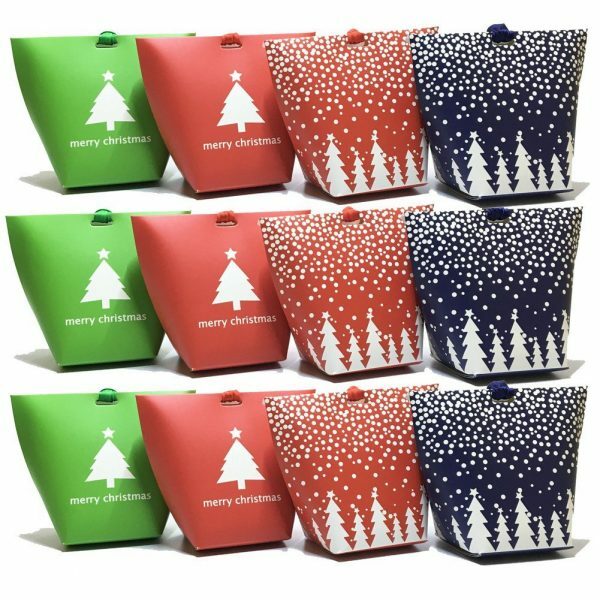 Candy box – I have many “pillow” style paper boxes, but I found these and they are so perfect! There really isn’t much to it. 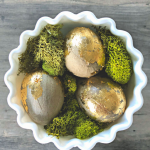 I’ve got the printable recipe below so you can save it, but really… all you do is melt the candy wafers, then use a spoonful to drizzle a puddle on the parchment paper. Sprinkle your crushed candy on top and let it harden. This is one of those recipes that looks so fancy and impressive. 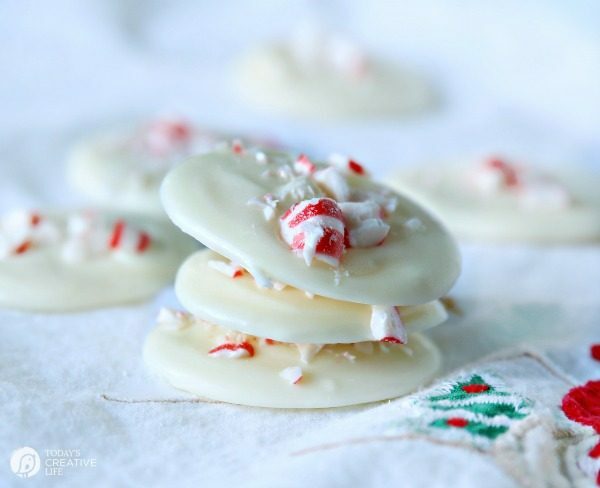 White Chocolate Candy Wafers - I use the Ghirardelli brand. 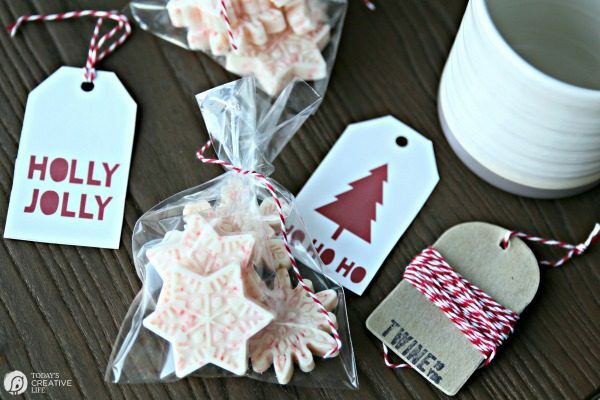 Put your candy canes or little peppermints into a ziploc bag. Use a rolling pin or meat hammer to crush them. Be sure to place a cutting board underneath so you don't ruin your countertops. 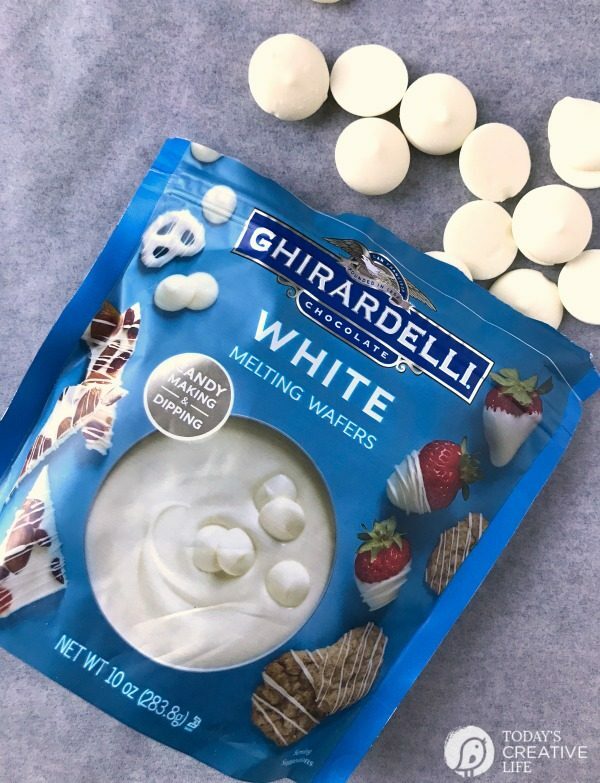 In 30 second intervals, melt the white chocolate in a microwave-safe dish. I use a pyrex 4-cup measuring cup.